Zero Tolerance for Cheaters! Don’t install any hack tools your devices, also that illegal programs learn your other accounts’ information. 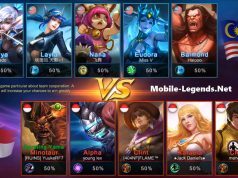 In order to maintain a fair and healthy gaming environment and protect our players’ rights and benefits, the hack tool detection system will come into use within this week in Mobile Legends: Bang Bang. This meansure is taken to suppress the usage of hack tools and further to keep the balance of the game and to ensure the security of players’ account. We kindly remind you: please do not install any hack tools. The hack tool detection system will automatically identify illegal or hack programs. Once detected, the account that uses hack tools will be banned according to following rules. With the purpose of ensuring most players’ benefits, we will have zero tolerance towards the cheating behaviors of some players. All accounts that use hack tools must undertake the severe punishment according to our monitoring records. Cheating 1 Time: The account will get banned for 3 days + no rewards from that match + have the leaderboards stats wiped. Cheating 2 Times: The account will get banned for 1 year + no rewards from that match + have the leaderboards stats wiped. Cheating 3 Times: The account will get banned at permanent. 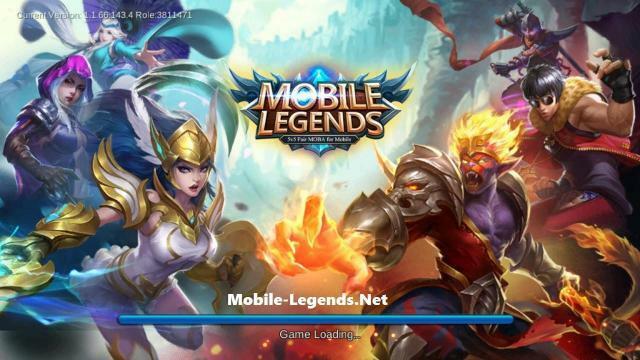 Any third-party applications installed to try to modify any kinds of game stats in Mobile Legends: Bang Bang and influence gaming balance will be deemed as hack tools. Those apps usually contain malicious codes which are used to steal the photos, SMS, contact numbers and passwords of various accounts from your phone and thus it may couse serious losses to you. 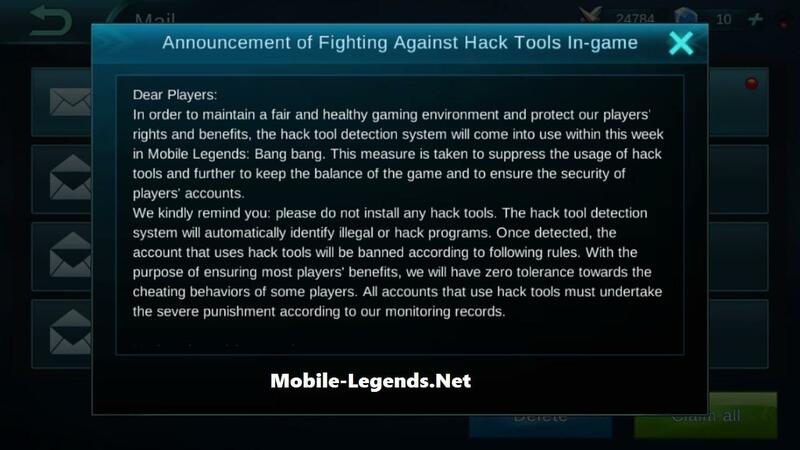 Mobile Legends: Bang bang says “NO” to hack tools! We strongly appeal to you for fighting against hack tools together and creating healthy, fair and just gaming environment together with us! We hope that you can tell each other and spread our the words, tell those who want to take chances to use hack tools in game to value their game accounts and treasure the friendship in the game. Please do not us any kinds of illegal of third-party applications and avoid becoming a victim of those makers of the hack tools whose purposes are only to profit themselves. Next articleLapu Lapu First Look Abilities & Price! – Cheating 1 Time: The account will get banned for 3 days + no rewards from that match + have the leaderboards stats wiped. – Cheating 2 Times: The account will get banned for 1 year + no rewards from that match + have the leaderboards stats wiped. – Cheating 3 Times: The account will get banned at permanent. Other than banning the account, I think it will be best if they can ban the device where it was used as well (via mac address) since players can just easily create a new account if they want to play again. Oww you right, but i think too much?? What about playing from PC..? Does it considered​ as a hack tools as well.? How can we say if the player is cheating or uses cheat codes? I want to make sure that the player is cheating and to report them. Thanks! Encountered one in brawl earlier. I was using a fully geared layla and suddenly I wasn’t dealing any damage especially my ulti to the opposing team. I reported it after the game but got no feedback.